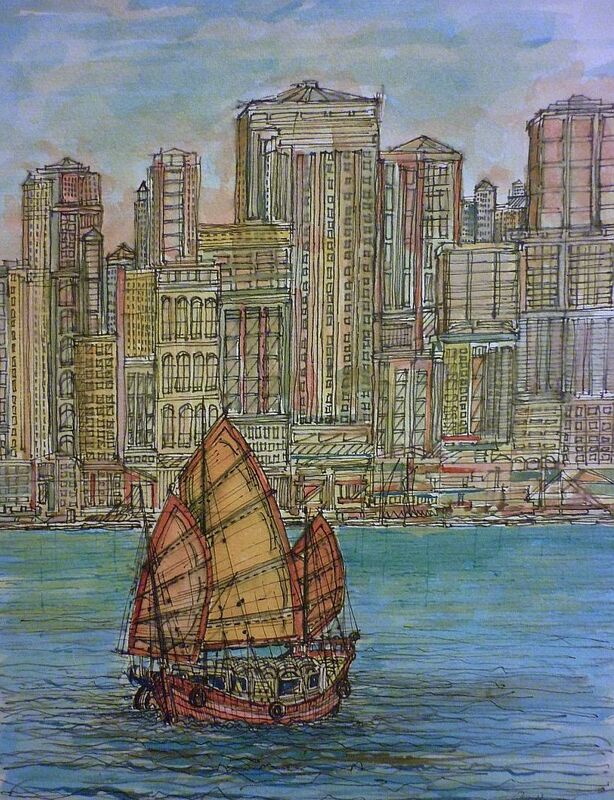 Hong Kong Cityscape from the Sea with Chinese Junk Boat. Watercolour. Hong Kong Cityscape from the Sea with Chinese Junk Boat. Watercolour. Painted 2002.